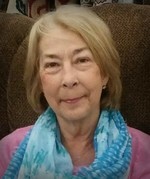 Penny Louise (Potter) Murr, age 59 of Baring, MO, passed away Thursday, April 5, 2018 at Blessing Hospital in Quincy, Illinois. She was born September 2, 1958 in Kirksville, Missouri, the daughter of Robert J. (Bobby) and Virginia (Mountain) Potter. She was united in marriage to Lonnie Lee Murr on July 25, 1980 in Camdenton, MO. Surviving are her husband, Lonnie Murr of Baring, MO; two children, Joshua Murr of Edina, MO and Crystal (Thaddeus) Karhoff of Edina, MO; two brothers, Clyde (Virginia) Potter of Baring, MO and John (Cheryl) Vice of Martinstown, MO; one sister, Rosalie Vice of Kirksville, MO; grandchildren, Alyssa Murr, Natalie Howerton, Jakob Karhoff, Mason Karhoff and Creighton Karhoff; mother-in-law, Sylvia Murr of LaPlata, MO; brother-in-law, Randy (Joy) Murr of LaPlata, MO and sister-in-law, Lisa Snyder of Kirksville, MO; and numerous aunts, uncles, cousins, nieces and nephews. Penny was preceded in death by her parents and grandparents; two brothers, Stephen Potter in infancy, and Robert (Bobby) Potter and her father-in-law, Earnest L. Murr. Penny graduated from Adair County R-1 School District (Novinger, MO) in 1976. She was employed at the Florsheim Shoe Factory in Kirksville, MO, and was briefly employed with a local company offering caregiver services in the community but she spent the majority of her adult life as a homemaker and babysitter. Penny was a talented cook and enjoyed hosting family gatherings, making crafts, planting flowers, and shopping at yard sales and thrift stores. She enjoyed spending time with her family and spent many years providing childcare to her grandchildren. Penny had a sweet nature and was loved by many. A visitation will be held at 10 a.m. followed by a Celebration of Life at 11 a.m. on Tuesday, April 10, 2018 in the Baring Hall in Baring, MO with Carolyn Snelling officiating. Music will be provided by the Clark family. Casket bearers will be Thaddeus Karhoff, David Potter, Paul Snelling, Travis Hettinger, Chris Hettinger and Sidney Hettinger. Honorary casket bearers will be Clyde Potter, Randy Murr, James Califf, Jakob Karhoff, Mason Karhoff and Creighton Karhoff. This obituary is protected by copyright by A Simplified Funeral Solution LLC. Proudly Serving the Communities of Green Castle, Brashear, Edina, Elmer, Hurdland Green Top, Lancaster, La Plata, Kirksville, Novinger, Macon, Milan, and Unionville. A Simplified Funeral Solution LLC is located in the state of Missouri, United States.